Slough House is a dumping ground for British intelligence agents who've screwed up cases in any number of ways - by leaving a secret file on a train or blowing a surveillance. 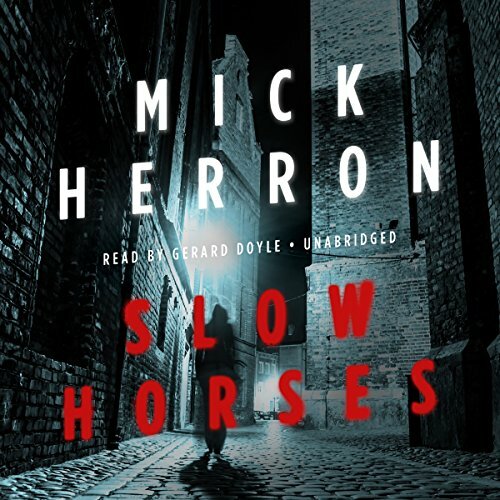 River Cartwright, one such "slow horse", is bitter about his failure and about his tedious assignment transcribing cell phone conversations. Is the victim whom he first appears to be? And what's the kidnappers' connection with a disgraced journalist? As the clock ticks on the execution, River finds that everyone has his own agenda. 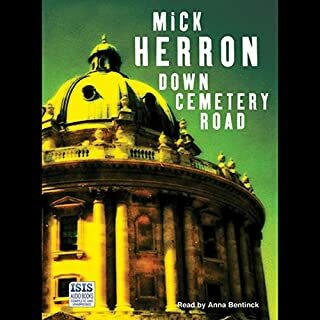 ©2010 Mick Herron (P)2017 Blackstone Audio, Inc.
well written. suspenseful and humorous with an edge and a real dose of reality. the perfect kind of spy novel. Fun premise, Slow start, excellent entertaiinment. 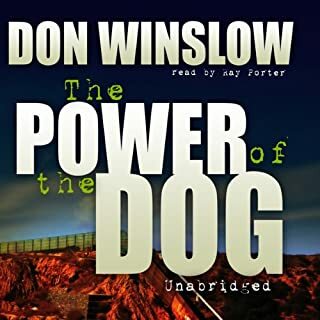 Terrific narrator. Confusing in the beginning because of the many names and characters but everything eventually snaps into focus. 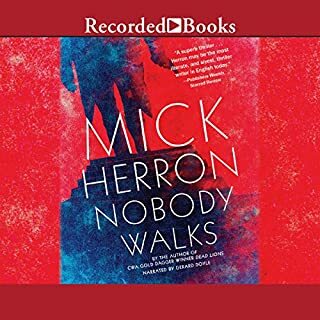 At turns tense and frightening, funny and sharp and, for me, an American reader who knows nothing about British spyfare, interesting and new. An extremely satisfying ending. Highly recommend. A lot of exposition in the first half to establish cast of characters but the plot really kicks in the second half. 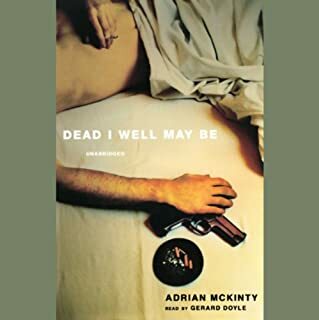 Well written and witty and Gerard Doyle, who is perfectly paired with Adrian McKinty's Irish crime fiction, is excellent here as well. Slough House is about a group of intelligence agency screw-ups sent out to pasture with unimportant cases. 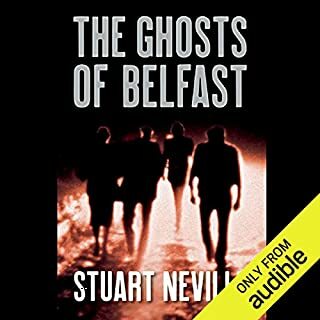 Narration by Gerard Doyle is wonderful which is more than this book deserves. Best book I have read (listened to ) in a while. Great characters. Looking forward to book 2 of the series. Great British spy story - battle between bureaucratic office politics players and carreer screw ups lead by a seedy unattractive has been. No James Bond in sight but great characters. Then of course there is kidnapping, murder and the threat of a live streamed beheading to keep things moving. This author is new to me. Finishing what was recently released, and labelled as the first of a series, I assumed I'd have to wait for more. Not so! Good, complex story. You have to listen closely to pick up scene and character voice changes - probably facilitated by text spacing in the printed version. But well worth the effort. This is as convoluted as many MI5 narratives, where no one is to be trusted save the down-and-out, but no one will believe them until it is too late. 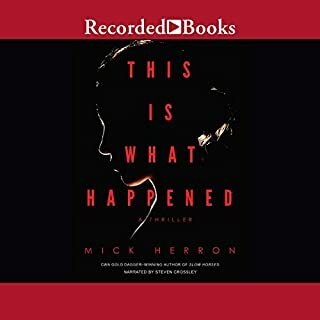 The story hangs together and has some satisfying moments, but it's a bit exhausting to jump around from storyline to storyline among so many loathsome characters all of whom should know and be better. After a while I just don't care any more . . . The story line humps around a bit and I had a hard time discerning where the jumps were. Once I figured out we were on another characters plot line the characters were quite engrossing. I look forward to other books in this series. I have no idea why it took me so long to discover this author and series. The prose and storyline are refreshing in the espionage genre and I instantly became a fan.